Nathan Oldfield is an award-winning surf photographer/filmmaker from New South Wales, Australia who has made several feature length films including Lines From A Poem, Seaworthy, The Heart & The Sea and Sojourn. His latest film is called Church of The Open Sky. We spoke with him to learn more. What have you been up to since your last film? Since my last feature film, The Heart & The Sea, I made a couple of shorter films, Gathering and then Sojourn, as well as several online shorts. Other than that, I have been making photographs, surfing and working on my new film. In that time I’ve also been renovating our family home. What inspired you to create your newest film? What does the title mean to you? The title is a paraphrase of an expression Tom Blake used. For those who don’t know, Blake was probably the most influential surfer of the first half of last century after Duke Kahanamoku. 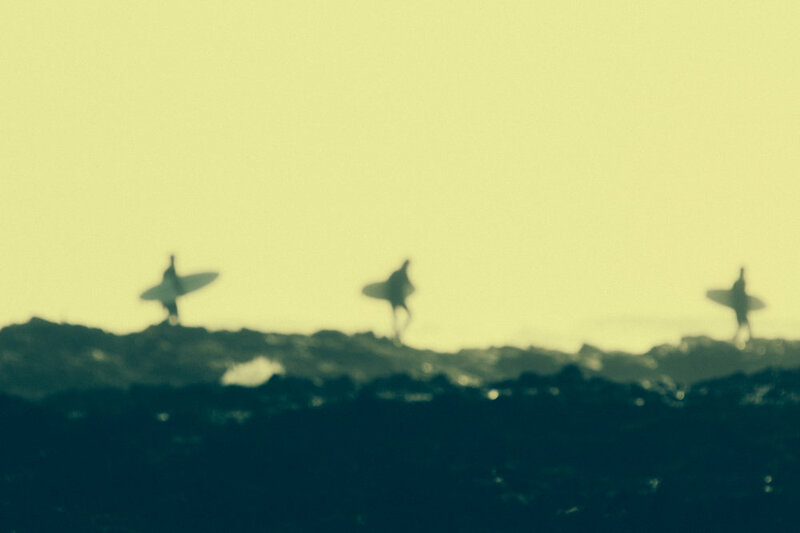 For Blake, surfing was a deeply personal, meaningful and spiritual experience. He likened surfing to worship under what he called ‘the blessed church of the open sky.’ For lots of reasons, I kind of always loved that line and one day it occurred to me that it would be a perfect title for the film that I was already shooting. 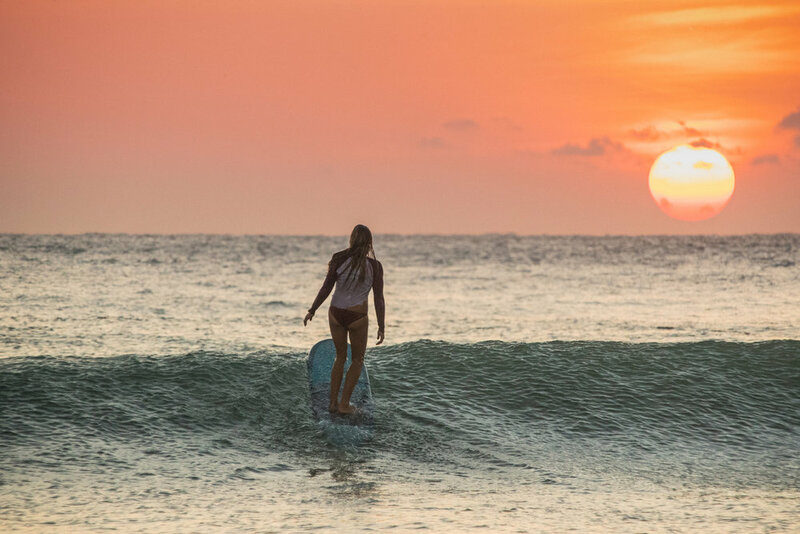 The idea that surfing is a metaphysical activity, and not just a physical activity or sport, is just something that I have known personally throughout my surfing life. I also deeply believe that everything is sacred. Everything is holy. It’s all ‘church.’ I feel strongly that the practice of surfing can be sacramental in that sense. That has genuinely been my experience. The other thing that I like about the title of the film is that it is inclusive for everyone. We are all under the church of the open sky. Everyone’s welcome. It’s a shared, communal thing, a fellowship. The idea that surfing is a metaphysical activity, and not just a physical activity or sport, is just something that I have known personally throughout my surfing life. How is this film different or similar to your previous films? I guess folk who are familiar with my films will recognise that this one is not too dissimilar to my other films. Some of the themes are the same: family, friends, diversity of surfing approaches, simple stories of surfing lives. Many of the cast are the same. But there are also some new locations and stories here too. This one has a bit of an exotic edge. All of the locations in the film are islands, and somehow that kind of energy comes through in how the film unfolds. How did you go about choosing your featured surfers? Some of the featured surfers are among my best friends. We’ve worked on films before and we naturally gravitate to working together. People like Dave Rastovich, Tom Wegener, Belinda Baggs, Johnny Abegg and Lauren Hill have been in several of my films now, some for over fifteen years. There’s some new faces in the mix as well. People I’ve been fortunate enough to meet while on the journey of making the film. What were some of the challenges involved? What did you gain/learn from making it? I guess the challenges involved were similar to my last films. Just managing to balance filmmaking with being a husband and a father and a school teacher. 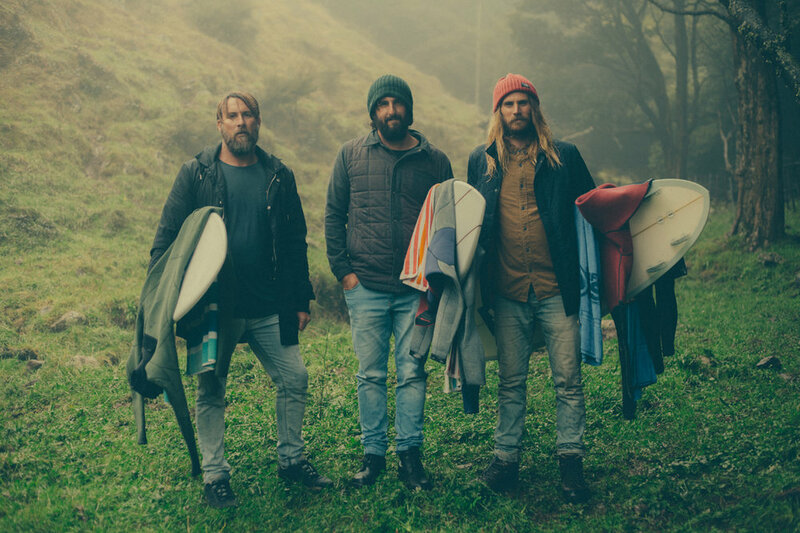 Making a self-funded, independent surf film entirely on your own is a mammoth task. It’s incredibly time consuming and requires a lot of creative energy over a long period. Sustaining that energy can be difficult at times. I’ve definitely been pretty exhausted recently, just getting this film across the finish line. It’s an interesting question, what I have gained or learned from making it. I guess making films fulfils a deeply intrinsic need I have to make things. That’s the way that God made me, so I really do feel a desire to create. My filmmaking and photography serve that longing. The other beautiful gain for me personally is the friendships, old and new, that I get to experience through making surf films, as well as the travelling that I get to do with my family. I guess making films fulfils a deeply intrinsic need I have to make things. That’s the way that God made me, so I really do feel a desire to create. My filmmaking and photography serve that longing. You have a unique way of capturing moving images. How would you describe your style? It’s almost impossible to describe your own style. It’s like your surfing style, it’s way more obvious to others than it is to you, because you never really see yourself. I just shoot how I like to shoot. I love colours and shapes and textures and space. I guess I try to capture things as beautifully as I can. I am absolutely enamoured and enchanted by surfing and the sacred places where the land meets the sea. I try to communicate that love through my imagery. What are you hoping the viewer will come away with after viewing your film? The usual stuff: joy, thankfulness. Gratitude for surfing, for relationships, for nature, for the precious gift of being alive and breathing. What’s next for Nathan Oldfield? It’ll take some time and energy to get this film out there. I have some tour dates planned, but I have a lot more to organise. I also have a few smaller film projects in the works. And I have another dream for a longer surfing feature. To learn more about Nathan Oldfield and his work, follow this link here. You can follow Nathan on Instagram.